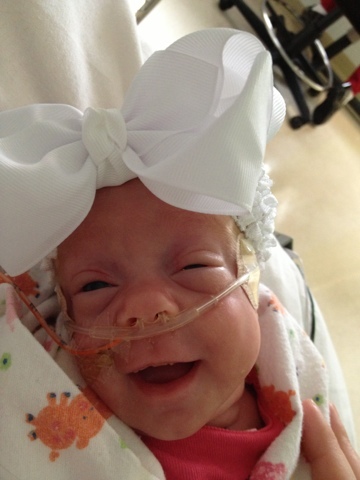 Today marks 70 days since little Briella came into this world fighting. 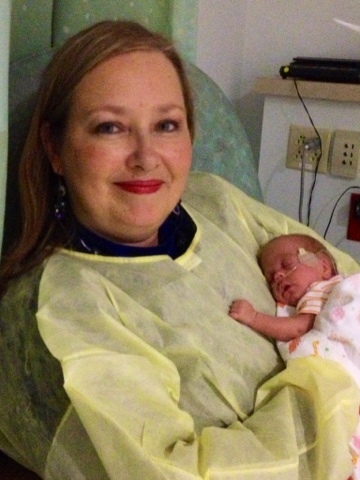 Tonight I saw one of the nurses who rushed down to save her when she was born. I hadn't seen her since. I thanked her over and over and it was emotional. She said she calls Brie her rock star. Our rock star is 4 pounds 5 ounces! 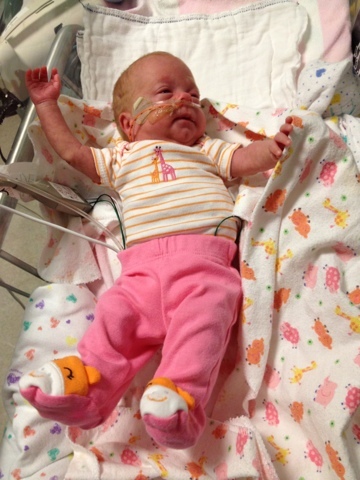 She is filling out all of her preemie clothes quite nicely! 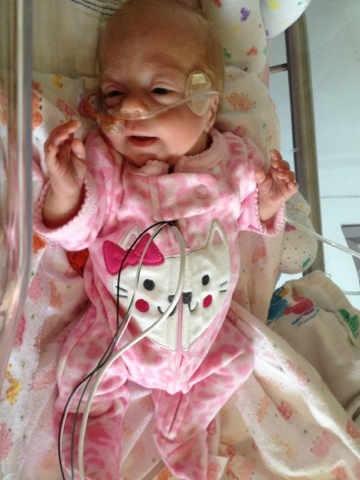 And she has a ton of preemie clothes thanks to 2 generous women who do not even know me. I believe both are actually nurses! So if you're reading, thank you!! I was also sent a big bow headband for Briella. It is so stinkin cute. It is so big on her right now, but she will grow into it. I will post a picture of her in it below. It is SO nice to have Briella in a crib! I have been having more stressful mornings still dealing with insurance and bills and to be able to just walk in and pick her up when I want to is a blessing. It makes everything thats wrong in the world disappear! How can I not smile and be happy when looking at her?! It took us 10 weeks to be able to hold when we want but hey, we're there now. Today I held her for so long! I held her after breakfast until lunch. Went and ate in the parent room then came back to hold some more. Held until I had to leave to get Aubrey. The came back tonight to hold some more. I knew my mom was going out to see Briella tonight so I surprised her. When she got there I said "Surprise! You can hold her!" Now that she is in a crib the Grandma's will be able to hold every now and again. 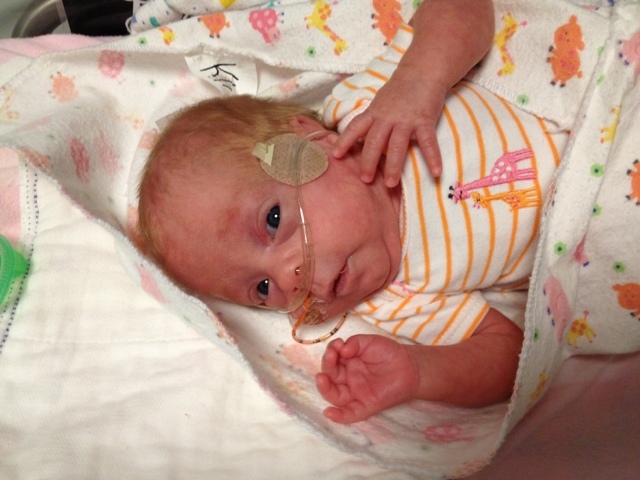 Briella is now eating 39ml every 3 hours. And they are down to fortifying it with only 24 calories extra now. 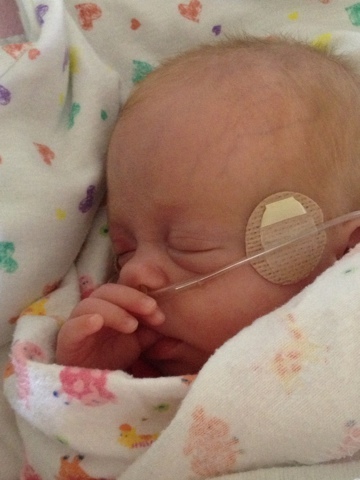 Please pray that Briella stays infection free. That her lungs grow strong and mature. And that she grows up healthy and happy.